Total height: about 6 mm / 0.24"
Use sisal stair tread mats to make your stairway more comfortable and safety at the same time. 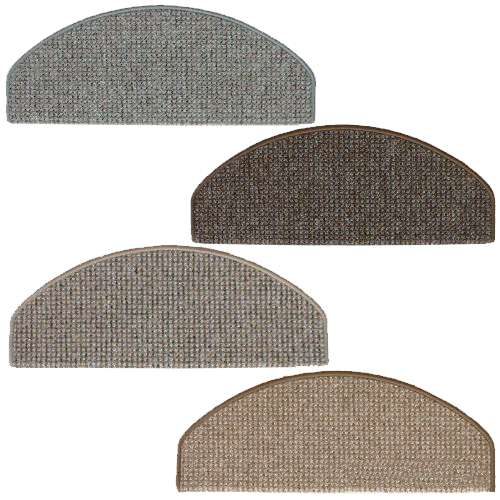 The stair mats colouration is trendy and highlights your stairs in a beautiful way. The products material is made of durable natural fibre which is extracted from the renewable agave plant. In addition, the stair tread mats are equipped by a double sided tape which is fixed on the dimensionally stable back rails. 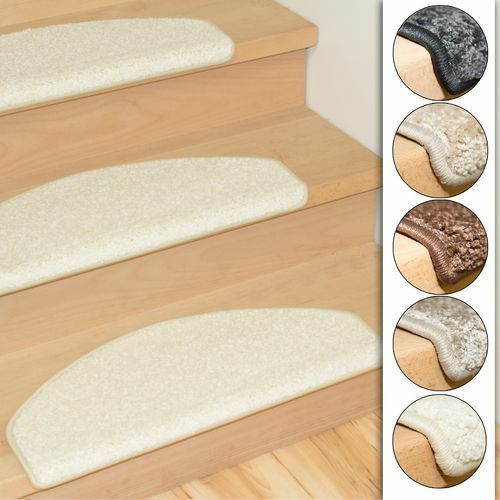 This enables a safe grip as well as an easy mounting and replacing on stairs. 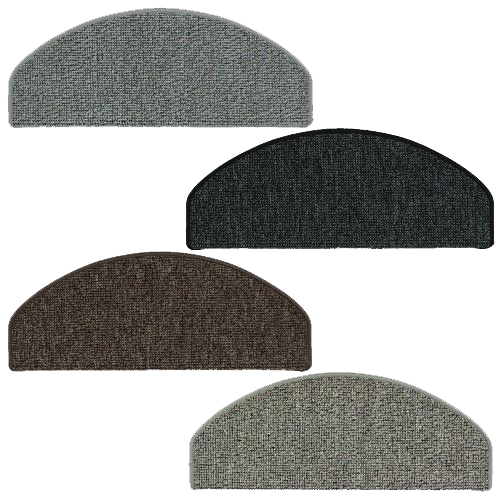 Fraying is prevented by a colour matching seam. Notice: Stair tread mats with a size of 22x56 cm are particularly suitable for narrow staircases and spiral staircases. Stair tread mats with a size of 28x65 cm are particularly suitable for staircases with standard size. Die Qualität ist dem günstigen Preis entsprechend. "Tolle Farbe und tolle Qualität." "sehr gute Qualität, Farbe und Größe, wie ich es wollte, bin sehr zufrieden, gerne wieder"